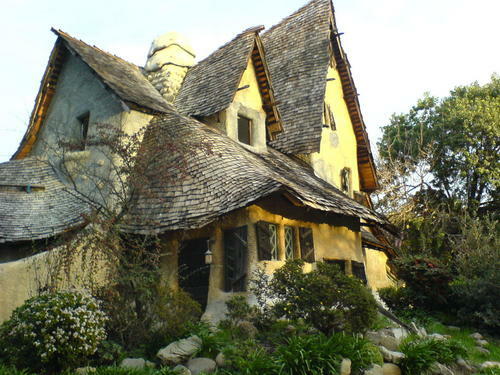 The Witch's House. A house built in Beverly Hills, CA. in 1921 as a movie set. It was turned into a ہوم in 1934.. HD Wallpaper and background images in the Random club tagged: random cute photography cool funny witch house movie hollywood california. This Random photo might contain ھتی, گارنر, granary, garner, کھلیان, کھتے, lychgate, lichgate, لیچگٹی, and لاچگٹی.